82.29% of respondents said they favor control of school curriculum by the state government rather than the federal government. 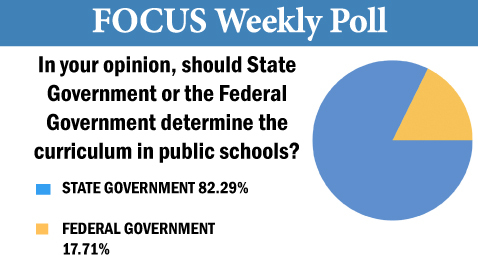 Only 17.71% of those likely voters polled said they believe the federal government should control school curriculum. The district with the highest proportion of support for federal control came in the First District, home to most of Knoxville’s African-American community. More than 43% of likely voters in the First District said they favor federal control. Conversely, more than 90% of voters in the Seventh District said they favor state control. More men than women favor state control.